Don't Like Your Teeth? 5 Reasons To Get A Smile Makeover in Davidson! Home » Blog » Don’t Like Your Teeth? 5 Reasons To Get A Smile Makeover in Davidson! Don’t Like Your Teeth? 5 Reasons To Get A Smile Makeover in Davidson! Hello! When you look in the mirror, do you like what you see? If the answer is, ‘Not really,’ then you may want to consider these 5 great reasons to achieve a beautiful smile with a smile makeover in Davidson. Even one or two procedures can make a big difference. Some of the most popular cosmetic dentistry procedures, such as teeth whitening and dental implants are simple but have dramatic results. A smile makeover in Davidson is more affordable than you might think. Discuss prices and financing options with Dennis J Coleman DDS and our team to learn more about affordable dentistry. You’ll be surprised to learn just how obtainable dentistry really is. 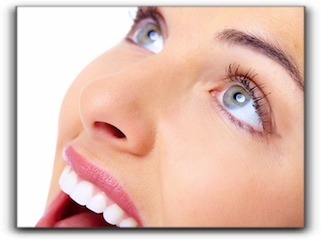 Most cosmetic dentistry procedures are very comfortable. Many people worry that the procedures are painful, but dentists can help you stay relaxed and free from discomfort whether you’re getting tooth-colored fillings, dental implants, veneers, or a complete smile makeover. Ask your dentist about oral sedation to learn more. With a smile makeover in Davidson, you will look and feel younger! Patients always mention that they experience increased confidence in their own daily lives after a smile makeover. Regardless of your dental problems, chances are, your dentist can help you. Some men and women believe they have to live with stained, chipped, cracked, crooked, or missing teeth, but at Dennis J Coleman DDS, we have the tools and procedures available to fix all of these dental problems and more. If you are in the Davidson area and are looking for a dentist, our team invites you to consider Dennis J Coleman DDS – Family & Cosmetic Dentistry as your next stop. We have been serving our valued patients since 2015 and we look forward to seeing you. Do I Need A Dental Cleaning? Ask a Davidson Dentist! Call 704-896-5850 today to schedule. Davidson dentist Dr. Dennis Coleman and his exceptional team provide cosmetic dentistry, dental implants, dentures, general dentistry and so much more to patients in and around the Lake Norman and Davidson, North Carolina area, including the communities of Huntersville, Cornelius, and Mooresville, NC and zip codes 28031, 28036, and 28078.